Take trips to places like San Antonio, Austin, Washington, D.C., Louisiana, Chile, El Salvador, and Peru. Network and practice with people who will go on to be ambassadors, industry leaders, important lawyers and physicians, and even presidents of their countries. Hone your skills in technical writing, research, negotiation, conflict resolution, and diplomacy. Research and study important topics you care about, such as healthcare, immigration, macroeconomics, security, and sustainability. What is Baylor Model Organization of American States (MOAS)? MOAS is 1-3 hours of History or Political Science credit that involves learning about Latin America and then, as a team, representing one specific country at a conference with 10-40 different schools from across the US and the globe. Where do the teams compete? All over! Regional, national, and international models are held in places like Austin, Washington, D.C., and Peru. 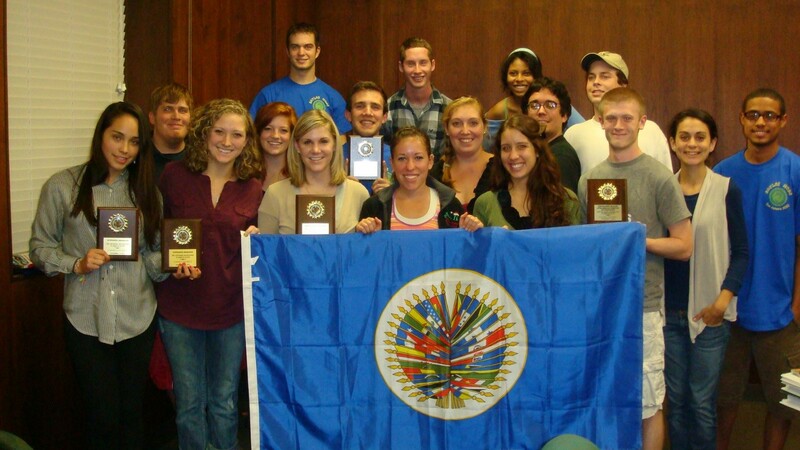 Students with a genuine interest in Latin American and international affairs should attend interest meetings held at the beginning of the fall semester. Students are then assigned to represent a certain country and committee.